Become an amateur ornithologist with help from this BestNest Backyard Bird Booklet Bundle. 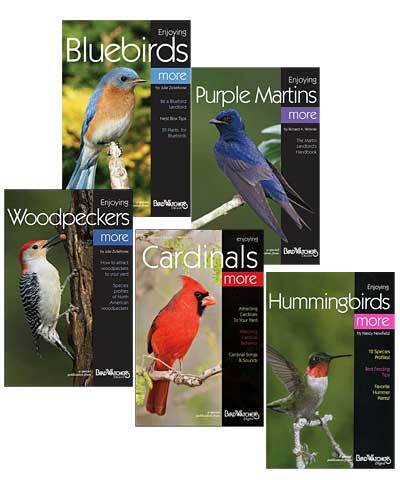 This package of five booklets provides a wealth of information on the birds likely to visit your backyard, helping you create a fabulous sanctuary for them. Each booklet focuses on one type of bird, such as hummingbirds, cardinals, or bluebirds, providing in-depth information on them. A wealth of color photos and illustrations in each work keeps them engaging, and they are easy to read thanks to their straightforward writing style. The paperback body and convenient size are also great to take into the field, for sharing knowledge with friends. Become a birding maven easily using this Backyard Bird Booklet Bundle.